Happy New Year! Your daily effort has to be aimed. There is a mental aspect and obligation to setting your goals. Do you have new year’s resolutions? Hogan has 15 tips for your New Year on how to not just set goals but aim for them. Align your heart and your head toward a common goal for your retirement dreams. Make 2017 your year of escalation. Other featured segments include: Hear From The People, Coach Hogan’s Halftime Speeches, and Hogan’s patented 3-point-takeaway. Jump start your new year VIPs! 0:00 – WELCOME 1:54 – TIPS ON HOW YOU CAN MAKE YOUR GOALS MORE EFFECTIVE Chris shares 15 tips as you look at your new year’s goals: THINK– Spend time thinking about what you are serious about accomplishing. GET ACCOUNTABLE – Get your spouse or friend to check in with you to see if your making progress. MAKE A DEAL – Place a motivational bet with your spouse or friend. CALENDARS COUNT – Put the things you want to accomplish on your calendar. USE PICTURES – Develop a goal board with photos of things you want to accomplish. GO PUBLIC – Tell friends and family about what you are working towards. WRITE IT DOWN – Put your goals in writing and keep them somewhere you can see it. POSITIVE SELF-TALK– What you are chasing may be new or difficult, so what you tell yourself is very important. SET MICRO GOALS – Give yourself some daily or weekly goals to help you track progress and stay motivated! SET CALENDAR ALERTS – Give yourself a heads up with a notification. BE AN ACCOUNTABILITY PARTNER – Cheer others on as they pursue their goal. REWARD PLAN – If you have some big goals, then be ready to properly celebrate once you reach that goal! BE HONEST – Don’t lie to yourself! Be honest and focused on performing your promises! USE TECHNOLOGY – There are many types of apps and digital tools that you can use to help keep you on your path! KEEP PUSHING – Starting is easy, it’s the finish that really counts! 23:03 – LISTEN UP VIPS Email us- podcast@chrishogan360.com. Professor Hogan- send in your big financial terms or fun pop culture references for Professor Hogan to define. See if you can stump him. Retire Inspired Poetry- send in your retirement poems that you want Hogan the poet to read in his poet voice (beanie and jazz music already included). Retirement Dreams or Retirement Wins- be sure to email Hogan your dreams or your wins. Chris wants to hear from you about what you plan for your future, and if you’re winning he wants to highlight it on the podcast! 24:37 – COACH HOGAN HALF TIME SPEECHES Send in your very own halftime speeches you want Coach Hogan to say back to you on the podcast. 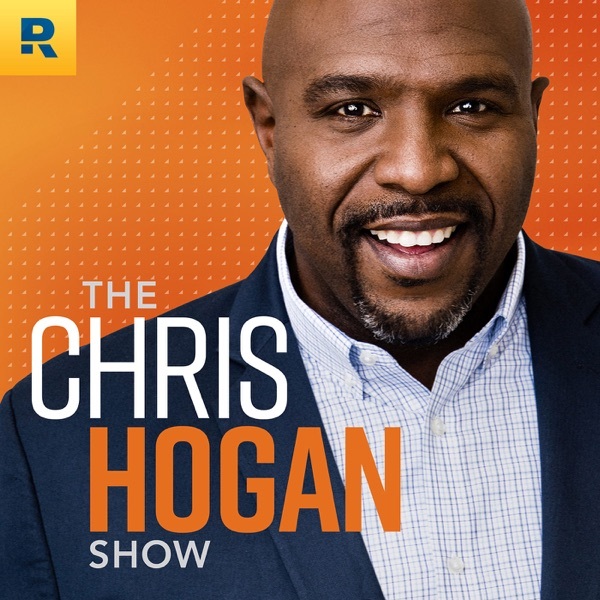 Email us- podcast@chrishogan360.com. 28:55 – THE TAKEAWAY Hogan gives his patented 3- point-takeaway that is connected to his year-end financial priorities for you: MAKE YOUR GOALS LIKE YOUR PROMISES CLARITY ON WHAT TO ACHIEVE SET A PLAN FOR SUCCESS 34:39 – HEAR FROM THE PEOPLE Hogan reads listener emails: A male wants to know about investing strategy options for early retirement. A female is saving 12% instead of 15%, and wants to know if leaving off the 3% will hurt her? 40:06 – RALLY CRY WRAP-UP 40:52 – CALL TO ACTION Go to chrishogan360.com to discover your R:IQ. While you’re there, click “Dream Team.” Then connect with SmartVestor Pros for investing help and ELPs for insurance, tax services, and real estate. Email us your retirement dreams or wins as well as your Coach Hogan Halftime Speeches and Retirement Poems. Send them to podcast@chrishogan360.com. You can also write a review of the Retire Inspired Podcast on iTunes and subscribe to future episodes.